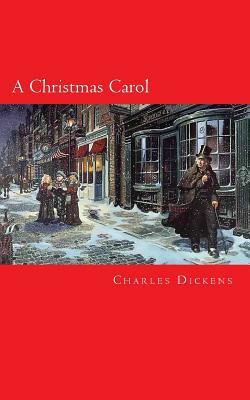 A mean-spirited, miserly old man named Ebenezer Scrooge sits in his counting-house on a frigid Christmas Eve. His clerk, Bob Cratchit, shivers in the anteroom because Scrooge refuses to spend money on heating coals for a fire. Scrooge's nephew, Fred, pays his uncle a visit and invites him to his annual Christmas party. Two portly gentlemen also drop by and ask Scrooge for a contribution to their charity. Scrooge reacts to the holiday visitors with bitterness and venom, spitting out an angry "Bah Humbug " in response to his nephew's "Merry Christmas " Later that evening, after returning to his dark, cold apartment, Scrooge receives a chilling visitation from the ghost of his dead partner, Jacob Marley. Marley, looking haggard and pallid, relates his unfortunate story. As punishment for his greedy and self-serving life his spirit has been condemned to wander the Earth weighted down with heavy chains. Marley hopes to save Scrooge from sharing the same fate. Marley informs Scrooge that three spirits will visit him during each of the next three nights. After the wraith disappears, Scrooge collapses into a deep sleep.